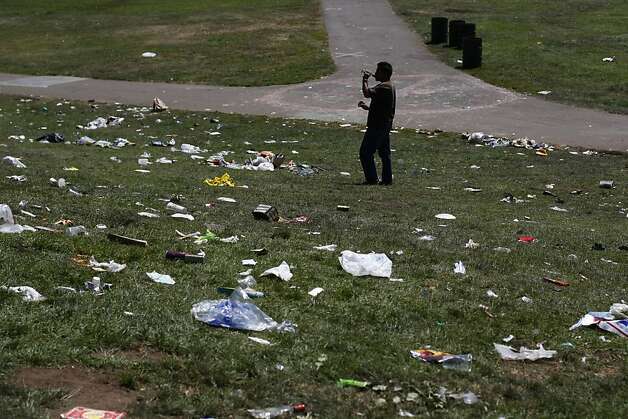 Ten thousand, not “420,” was the key number at San Francisco’s unofficial pot-smoking celebration this weekend: a crowd of at least 10,000 celebrants at the city’s “Hippie Hill” left 10,000 pounds of garbage, costing the city $10,000. 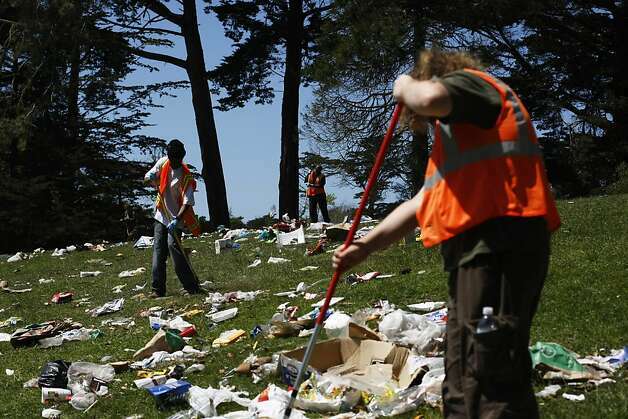 Most of the cleanup at Golden Gate Park took place the day before Earth Day. 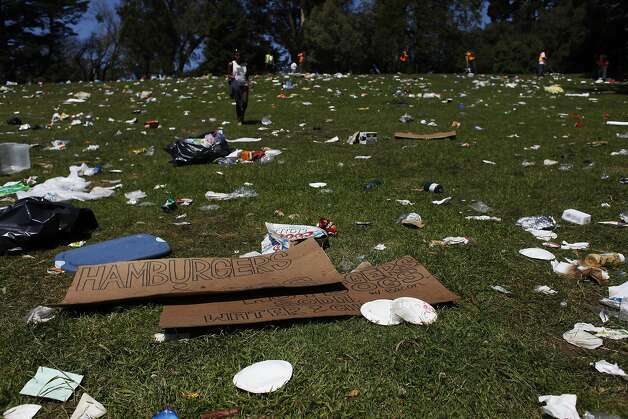 More pictures can be found on the San Francisco Chronicle’s website.